As the mornings start to get a bit cooler and the weekend dawns you seem to get that urge, to just snuggle down in bed a little more, pull the doona up and try and sneak in a sleep in. Work days are fine, my brain switches on and I jump up and into the day, but Saturday and Sunday mornings I crave even an extra five minutes of doona time. Lately on a weekend my Muddy Girls have been getting themselves up, visiting the bathroom and heading back to bed to read books to each other. The Muddy Pixie and Muddy Puzzler sit listening attentively to the Muddy Organiser read them book after book, before they take turns making up the stories in their books and reading them out. It is a joy to listen to them, all from the comfort of under the doona, yes I may not be asleep but I'm cozy and I'm ridiculously happy listening to them read books, knowing they love them as much as I do. 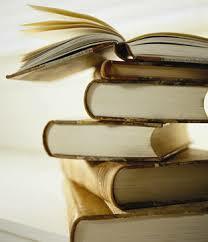 This is what I'm grateful for this week, the joy of reading, so happy it has been instilled in my Muddy Kids. 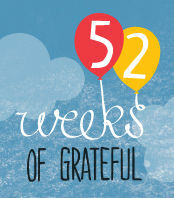 Linking up for 52 Weeks of Grateful, hosted by the lovely Bron of Maxabella Loves..
How wonderful! I always enjoy starting Saturday and Sunday with a couple of chapters myself. Snap Nat! I'm so very grateful that Bell loves reading as much as I do. Isn't it lovely having those few extra minutes of relaxing before starting your day?